Monthly Meetings start at 2 pm. with arrivals from 1.15 pm. onwards. The meetings are held in St James Church Hall, Union Street, Trowbridge. 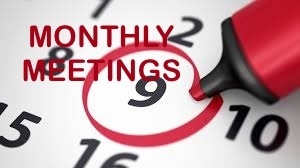 To see an up to date list please select Monthly Main Meetings under Event Categories on the right hand side.